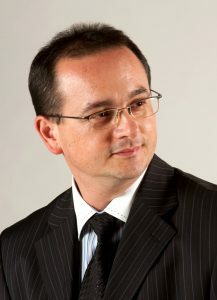 Since 2007, Géza has been the President of the Association of Hungarian Orchestras. In 1998 he was named Vice President of the Hungarian Music Council. 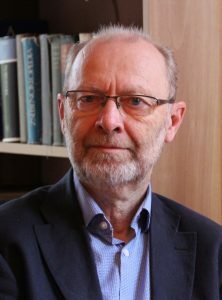 He has been a member of the Performing Arts Employers’ Associations League Europe (PEARLE) where he is President since 2017. He has been a member of International Society for the Performing Arts (ISPA) since 2004, member of the Board of Directors since 2008. He has lectured at various universities, directed documentary films for a multitude of TV channels, and has published essays and articles in Hungary and other countries. He is a passionate wine maker and photographer. He has been acknowledged with the ISPA Patrick Hayes Award in New York in 2014. and in 2015 the “Báffy Miklós-díj” by the Hungarian cultural government. He graduated at Ferenc Liszt Academy of Music in Győr (1972), and he worked in the Symphonic Orchestra of the Hungarian Radio as violin leader until 2008. As a musician he worked in string quartets, chamber orchestras and in several foreign consorts. In 1985 he founded Concentus Hungaricus Chamber Orchestra. He is member of several committees and advisory boards. 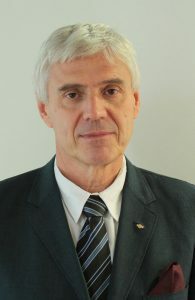 He is the editor in chief of the journal Zenekar (Orchestra). In 2008 he was awarded the Silver Cross of the Hungarian Republic. He was awarded a degree at the Liszt Ferenc Academy of Music in Budapest and then joined the National Theatre of Szeged in 1988 as conductor and chorus master. 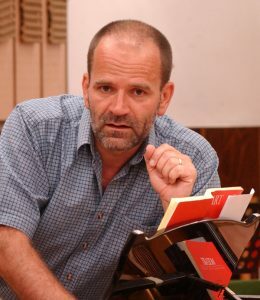 Since 1999, he has been director and conductor of the Szeged Symphony Orchestra, then its principal conductor and music director, and, concurrently, as of 2008, general director of the National Theatre of Szeged. He is a regular conductor at concerts and opera performances both at home and abroad. In 2006, he was awarded the Liszt Ferenc Prize. 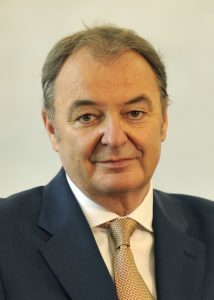 Between 2009 and 2009, he was co-president of the Association of Hungarian Orchestras. Since 2014, he has been member of its board.